Next tonight, we turn to politics, and a possible breakthrough with the government shutdown, now dragging into an 11th day. 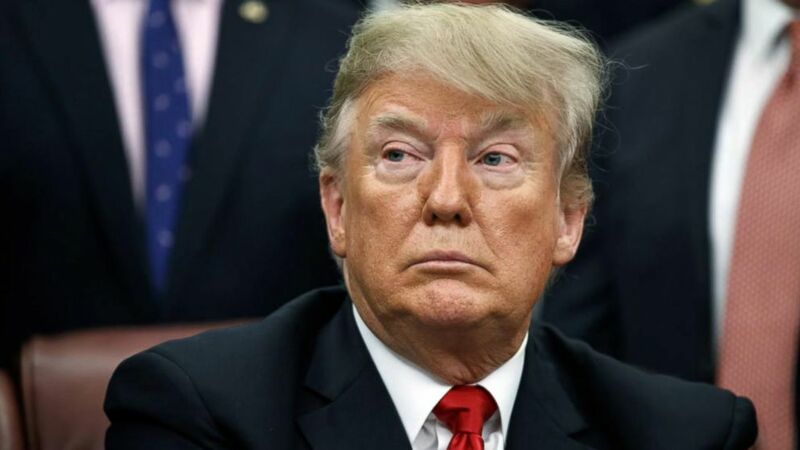 President trump has invited congressional leaders from both parties to the white house on Wednesday for a briefing on border security, still insisting on funding for a wall. At the same time, new evidence of the shutdown, trash cans overflowing in the nation’s capital. And tonight, the president telling incoming house speaker Nancy Pelosi, let’s make a deal. Here’s ABC white house correspondent Tara Palmeri with more. Reporter: Tonight, new signs of movement in the government shutdown stalemate. President trump inviting democratic congressional leaders to the white house, tweeting this question to Nancy Pelosi. “Let’s make a deal?” Tomorrow’s meeting their first since this heated clash 21 days ago. I am proud to shut down the government for border security, chuck. Reporter: The president then pledged he wouldn’t budge unless congress gave him $5 billion to build a wall on the southern border, a wall he long promised Mexico would pay for. Who’s going to pay for the wall? Mexico! Reporter: Now, 11 days into the shutdown, 800,000 federal employees are furloughed or working without pay. Say good night. Reporter: Their families in limbo tonight. Angela cabana’s husband Jason is an air traffic controller. He’s the sole breadwinner. We have two young kids, and it’s scary not knowing when you’re going to get paid. Reporter: On the national mall, signs of the shutdown everywhere. Garbage piling up in the shadow of the Washington monument. Museums and the national zoo shuttering tomorrow. Tonight, signs the white house may be looking for a way out. Thursday, Democrats officially take over the house, in his new year’s message, the president hinting at the battles to come. It’s going to be a great year. Complicated, but great. Okay, a complicated year ahead. Tara Palmeri joins us now from the white house. And Tara, the president meeting tomorrow with democratic lead S but they’ve made it very clear they will not fund his border wall? Reporter: The Democrats gain even more leverage in the fight. The president’s advisers are pushing him to offer them incentives like a solution for dreamers, those undocumented immigrants who came to the country illegally as children. Tom? Tara Palmeri for us tonight. Tara, thank you. January 18, 2019 Comments Off on Like To Shop From Your Phone? These 5 Apps Will Help You Save Big.